Being involved in a serious traffic crash in Hollywood or your community can be a devastating experience. You may suffer serious injuries, including whiplash, head injuries, spinal cord trauma, fractures, and other types of injuries. Some of these serious injuries can affect your ability to live your life fully and return to work. One type of injury that few people discuss is disfigurement and scarring. 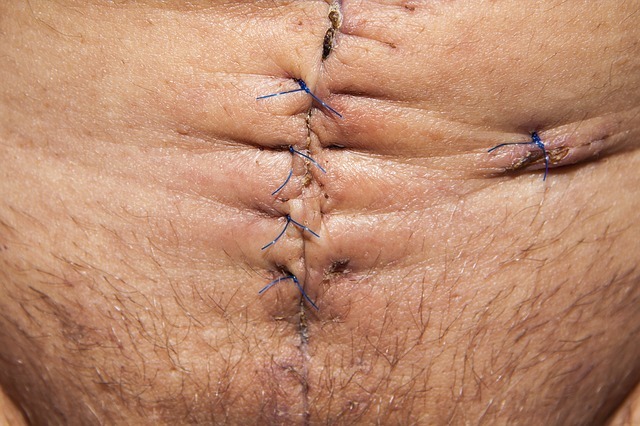 While not life-threatening in and of itself, scarring and disfigurement can be an extremely difficult injury, and this type of injury may happen in conjunction with other traumatic injuries. For example, if you have suffered serious burn injuries as a result of a car or trucking collision in Hollywood or your community, you may need physical therapy and you may suffer mobility issues as well as severe pain. In addition to all of this, you may need to deal with the challenges of serious scarring. Scarring and disfigurement can be extremely traumatic. In some cases, patients who have suffered severe injuries feel so self-conscious about their appearance that it affects their self-confidence and their relationships. In some cases, patients with severe scarring can have difficulty leaving their home or may struggle with serious depression. Patients may find that strangers and even people that they know react negatively to their appearance, creating even more challenges. Unfortunately, patients who have sustained these types of injuries often find that they have a hard time getting the support and assistance they need. Insurance money, for example, may not fully cover the expensive treatments needed to heal scarring. In some cases, car insurance and health coverage providers may argue that so-called cosmetic treatments are not covered by a plan. In addition, patients may be made to feel that scarring is somehow less serious than other types of trauma. This is simply not the case. Scarring and disfigurement can be debilitating and if your injuries were caused through someone’s negligence you should not have to pay for someone’s recklessness. Scarring can be a tremendously debilitating issue and one that is emotionally very difficult. If you are facing this type of injury, you deserve support and assistance. If you have suffered your injuries in a car or motorcycle accident in Hollywood or another Florida community, contact a personal injury attorney to find out what legal remedies may exist in your case. You may be able to pursue a legal claim so that you can recover money that can help you pay for the treatments you may need. There are treatments available for scarring and other types of injuries, but these can be expensive. You may need to visit a cosmetic surgeon for skin grafts, fillers, or other treatments. If you have sustained many types of injuries, you may need extensive medical treatment and your scars may require multiple treatments as well as months of healing time. Seeking fair compensation can help you afford quality medical care, improving your chances of a better recovery. If you would like to speak with a personal injury attorney, you can always reach Flaxman Law Group to schedule a free, confidential case consultation to discuss your legal options for compensation.